Legal malpractice, like other forms of professional negligence, is more difficult to prove than ordinary negligence. Furthermore, lawyers are in a position of trust and owe their clients a fiduciary duty, which when overlooked, can cause damages to their clients. At the Law Offices of Frank L. Branson, we have the experience to help clients evaluate their claim and determine the extent of any damages, and pursue them in appropriate cases. 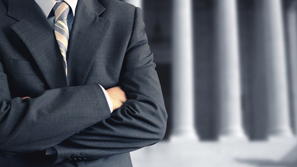 To learn more about our experience in legal malpractice related matters, we invite you to contact the firm here.